OK, so you have decided it is finally time to create your own blog. You already know that starting one up is not a rocket science, and you have probably heard of various blogging platforms that are worth researching. But if you haven’t spent some time with each software package before, choosing the right one for your new blog might become a problem. You don’t want to pick something that’s not well suited for what you had in mind, do you? Founded in 2007, Tumblr is relatively (compare to WordPress) younger blogging platform that also acts as a social networking site on its own. Although it started gathering users from the day one, it became much more renowned after Yahoo purchased it back in 2013. Tumblr brags about its simplicity and allows everyone to quickly publish stories, multimedia and other content on the network. The interesting part is that Tumblr instantly connects its users one to another and makes it a friendly online space for everyone. 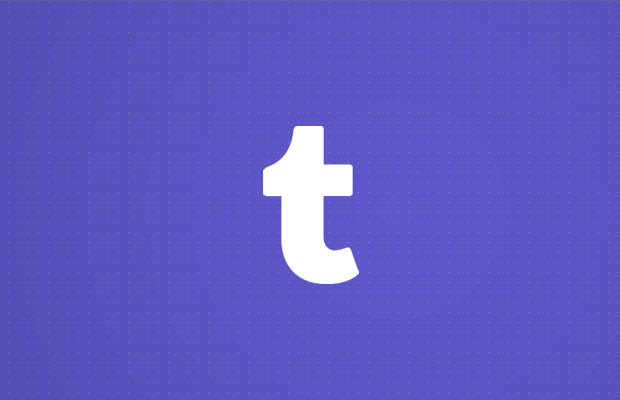 Yahoo can now proudly state that there are more than 300 million blogs created with Tumblr. Before you even start doubting the platform, let us tell you that Matt Mullenweg himself admitted that Tumblr is the number one competitor for WordPress (of course, the WordPress.com version). In today’s article, we are going to focus on the differences between the self-hosted WordPress.org and Tumblr. Since the self-hosted version is not the same as WordPress.com which is owned by Automattic, we’re bringing to you a video comparison of the latter one with Tumblr. If you are thinking about starting your blog, it is normal that you want the platform to be as simple as possible. Your goal is to publish stories and multimedia, and not spend time learning about how something works. WordPress offers a clean dashboard that’s ready for the newcomers. Until the moment you start installing extensions, there won’t be more than a few menu items that are easy to comprehend. Most of the settings & options will be easy to understand, and it won’t be hard to start managing your site. Although we like to describe WordPress as simple, the truth is that it is much more complicated than Tumblr. WordPress users will say that it is more complicated because there are simply that many more options to deal with (which is true). But from an average blogger’s perspective, Tumblr is simply a winner when it comes to a simple interface. If you don’t like complicated dashboards and user interfaces that require you to spend valuable time on things other than blogging, you will fancy Tumblr. From creating a free account to writing your first post, everything will be ready in just a few clicks. The dashboard is very simple, and it shows you only what’s most important to you. In addition to the big button that lets you write a new post, you can find messages, chats, read content written by others, and work with settings and design options. Every option is at the reach of your hand, and it will take just a few minutes to get acquainted with the new dashboard. Since you are considering Tumblr, you must be interested in blogging. That’s why we wanted to compare WordPress and Tumblr when it comes to writing posts and managing multimedia on single pages. WordPress is arguably the best blogging platform. But while it has to offer everything for both casual and professional bloggers, it may not be the best choice for just anyone. While serious bloggers who like to extend their sites and customize it in details will know how to value all the options that come with it, the other ones may be confused with everything it offers. WordPress features beautifully designed Visual and Text editor that let you write, manage media and edit code directly from the post. Tumblr is made for blogging. So it doesn’t surprise that everything is oriented towards writing and managing pictures & videos. And Tumblr does a great job here – you will find a simple bar which holds icons for writing new posts, inserting pictures, videos, audio files, quotes, links, and even chats. After clicking the icon, you will be ready to add the content, tag it properly and start sharing with the audience. As we already mentioned, Tumblr is very straightforward about all this, so you won’t find any additional confusing options for adding the content. Click here, click there, and you’re done! Even if you are interested only in blogging, you still want to customize the pages where you write, don’t you? If that’s the case, you shouldn’t worry; both WordPress and Tumblr allow you to customize the blog, but there are some significant differences. WordPress is a perfect platform for customizing your blog. From choosing among tens of thousands of WordPress themes and plugins that can help you personalize the blog in detail to coding your own site from scratch, WordPress is suitable both for beginners and professionals. Where beginners can enjoy user-friendly options that come packed with themes and plugins they install, professionals can dig up the code behind any of the files and modify the details like colors, layouts or particular functions. The great part about customizing WordPress is that there is a massive community of developers who will be happy to accept a job offer and create a unique blog for you. For a price, of course. Tumblr does offer customization options, but it just can’t measure up to WordPress. Customizing the blog is easy; change profile and background photos, manage colors, descriptions or even use additional themes that will transform the entire look of your site. While Tumblr also allows you to modify the HTML code behind it, it just doesn’t offer as nearly as much as WordPress. If you are looking for simple changes, Tumblr will satisfy your needs but if you want to be able to change anything there is, look more towards WordPress. Although you get to create your own account, generate a strong password that’s available just to you, and you’re the only one who’s got access to the blog, that doesn’t mean the site is your property. Before you start blogging and evolve in an emotional relationship with it, be careful. Do you want the blog to be yours? The website created with the self-hosted version of WordPress is yours. Although the space you’re renting from a hosting company isn’t your possession, the site (and all the files) on its servers is. So, no matter what you decide to do with your project, it is up to you. Some hosting companies may have strict rules about certain kinds of content, but you always get to switch hosting companies, and no one has right to take down your site. If you remember from the introduction, Tumblr was purchased by Yahoo. That means that Yahoo owns the service, and actually, it owns your blog. There are no guarantees that your blog will be live tomorrow. If guys at Yahoo decide it’s time to shut down the entire service, you can lose everything in a matter of seconds. And if you choose that you want other hosting option or something else, you’ll leave empty-handed. The only good thing about Tumblr, in this case, is that you can easily export your site from the service. After that, you can import the blog into self-hosted WordPress for example. Just in case you’ve already started a blog with Tumblr before realizing it is not okay for you, you still have a chance of fixing things. If you have some experience in the online world, you won’t be surprised when we tell you that blogging platforms that are advertised as free, aren’t actually completely free of charge. Being an open source platform, WordPress is free. At least when it comes to the software. You can download the package, modify the code and do whatever you want with it. But in order to get your site up for the online community, you will have to host it. As you might have figured out, hosting account (and a domain name which you can’t go without), aren’t free. So, the “free” platform quickly becomes something you need to pay for monthly. Depending on your needs, the prices can go from a few bucks to a few hundred dollars per month. On the other hand, Tumblr is a little bit different. Since Yahoo hosts it, the initial service really is completely free. You just need a free account, and you’re ready to start the blog. But if you decide that you want a custom domain name, you will have to pay for it. The same goes for premium themes that cost some money. When it comes to Tumblr, this is pretty much it. So if you really want a blog for free, Tumblr is the platform you should go for. Creating content is one thing. Sharing it with people across the globe is the whole other domain. Since WordPress and Tumblr behave differently, it is important to know what can each do for you when it comes to sharing. Since we’re talking about the self-hosted version, WordPress leaves the entire social part to you. You won’t get any help from the platform itself. 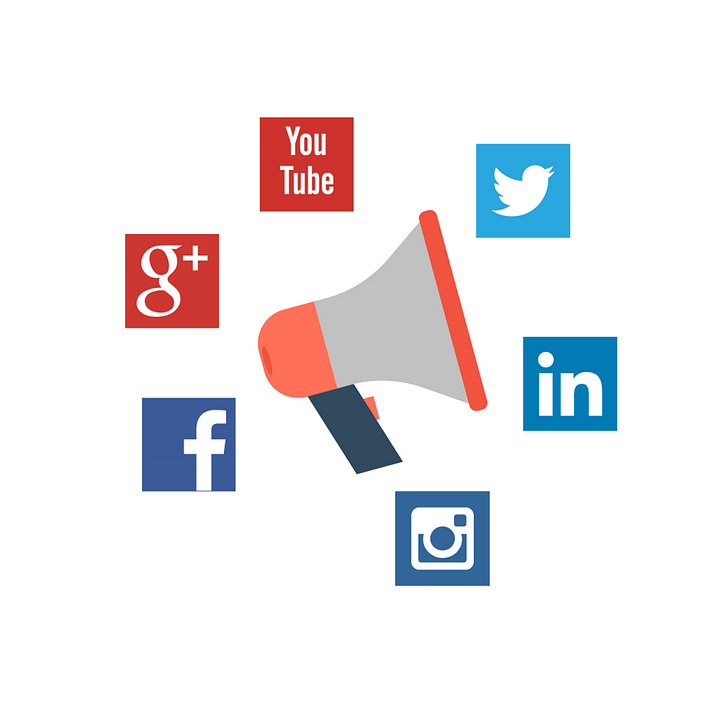 It will be up to you if you want to put social sharing buttons on your site. It will be up to you if you want to register your site with Google and allow the search engine to crawl it. Also, you’re the only one in charge of sharing the content with others. Still, there are some great free and premium plugins that will help you manage the social part of your site. On the other hand, Tumblr has your back. From the very moment of creating the account, Tumblr will try to connect you with other bloggers on the network. It will show you related content so that you quickly get to the blogs of your interest. Similarly, your blog will show up to other people and instantly connect you to them. So, without any extra work from your side, you can get the first page view in a matter of seconds. If you wanted to do the same with WordPress, it would take hours of advertising your site until you get it to the right audience. In the end, the truth is that both WordPress and Tumblr are great blogging platforms. It just depends on what kind of blog are you going for, and what are your plans for the future of your site. If you all you want is a platform where you get to express yourself through text and multimedia, you will love Tumblr. It is simple, easy to understand and completely free. It will allow you to focus on the writing; it won’t be necessary to think about maintenance or the speed of your site, for example. And you will still get to customize it to a certain point, without having any technical knowledge. Choose #Tumblr for simple blogging. Go for #WordPress for more complex blogs, websites or projects. But on the other hand, WordPress offers much, much more. With the self-hosted version, you can create much more than a simple blog. Although a bit harder to understand than Tumblr, WordPress is, as well, beginner-friendly. Since there are numberless online tutorials and resources that can help you, it won’t be that hard to build a site on your own. With it, you will be able to expand your blog into anything you want – from a simple site to an entire eCommerce system if you want. And thousands of themes and plugins will help you achieve what you have in mind. Still, you can always customize the site to detail because WordPress allows complete modifications.